OBDSTAR H111 should be the best Opel key programmer via OBD, because it cover 90% Opel car models from 1995 year (including old and new cars). It can also easily read out PIN CODE from BCM automatically or manually. Also, OBDSTAR H111 can be used to do cluster calibration on Astra 2010, Combo 2015, Insignia 2010. 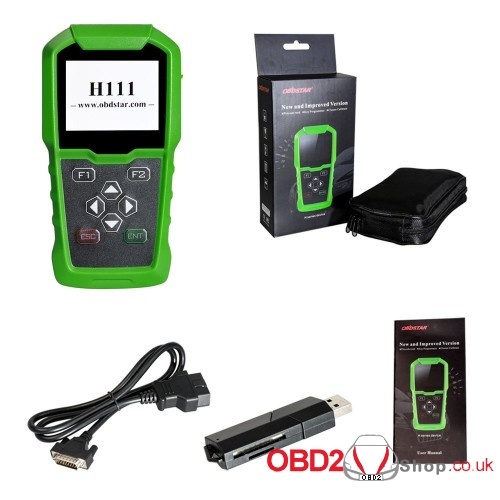 Let’s have a look at OBDSTAR H111 hardware, as you can see its plastic shell is industrial-class, every detail is perfect.